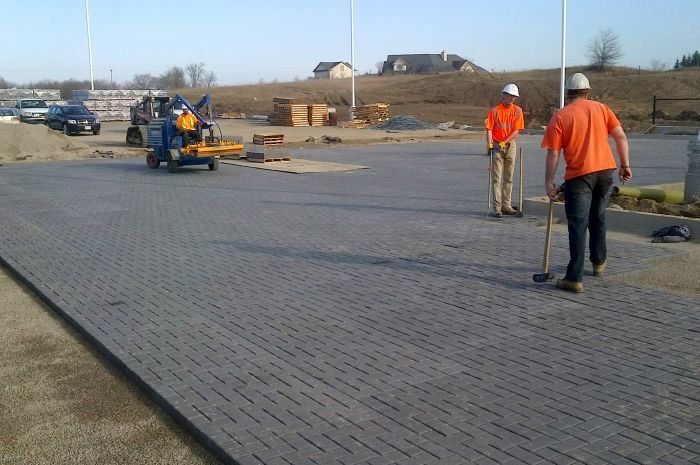 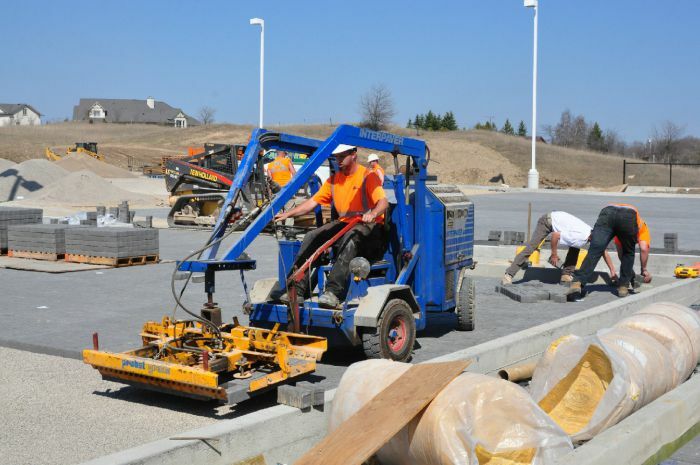 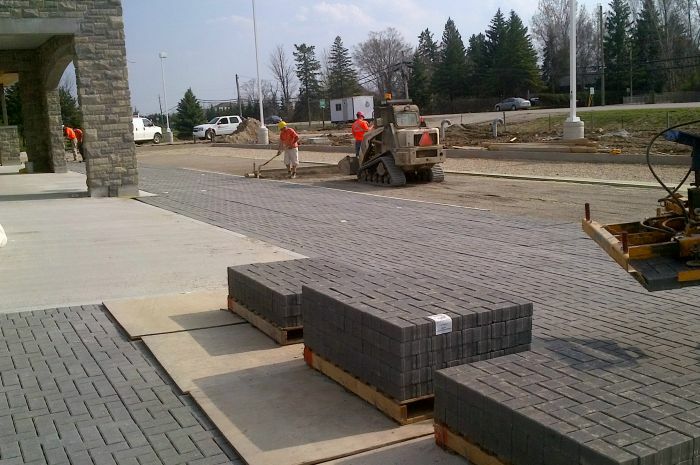 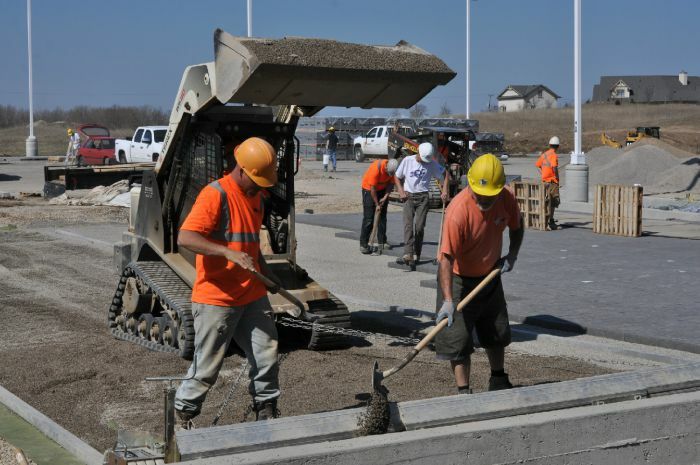 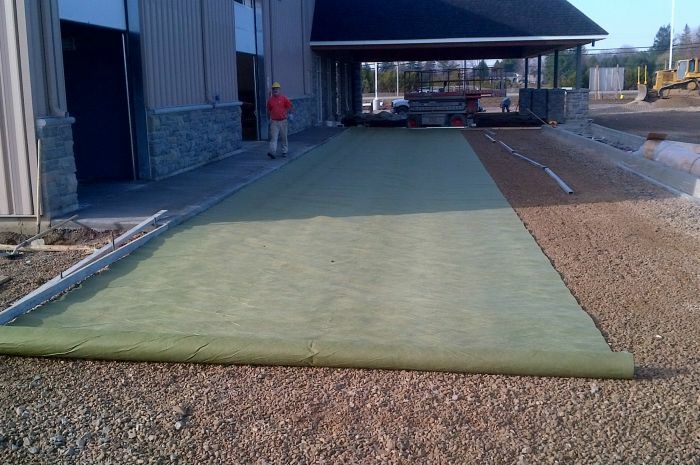 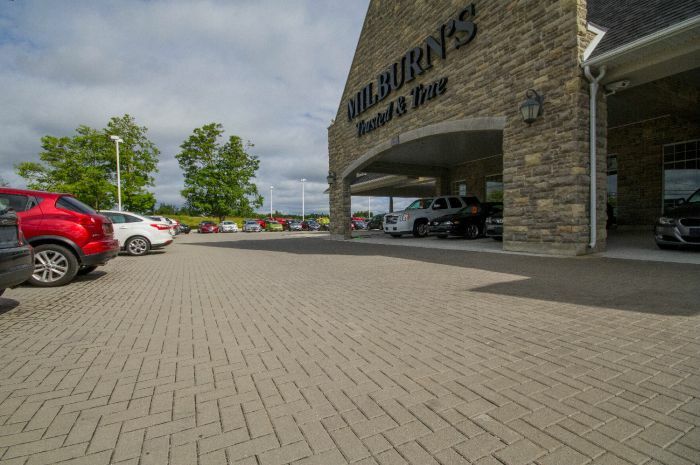 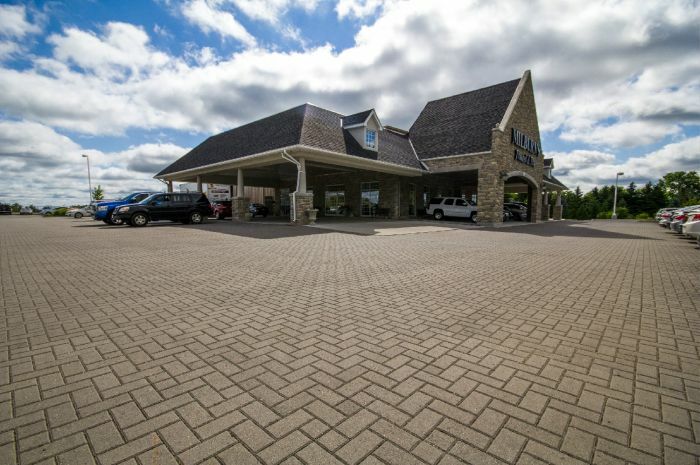 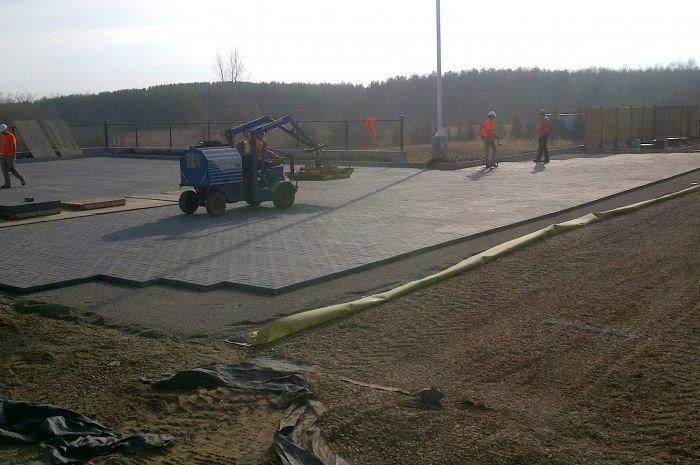 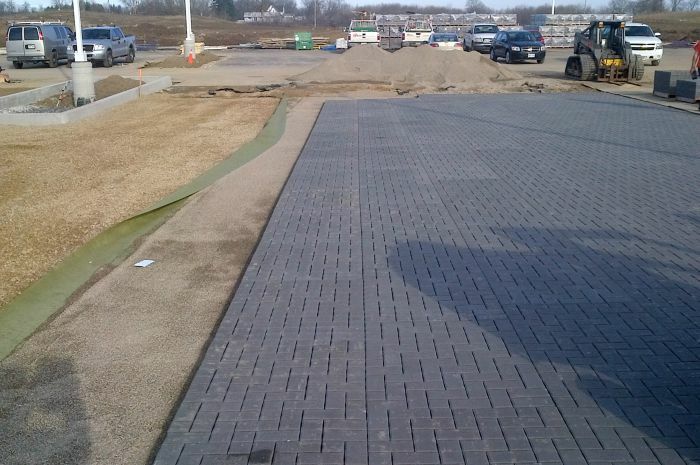 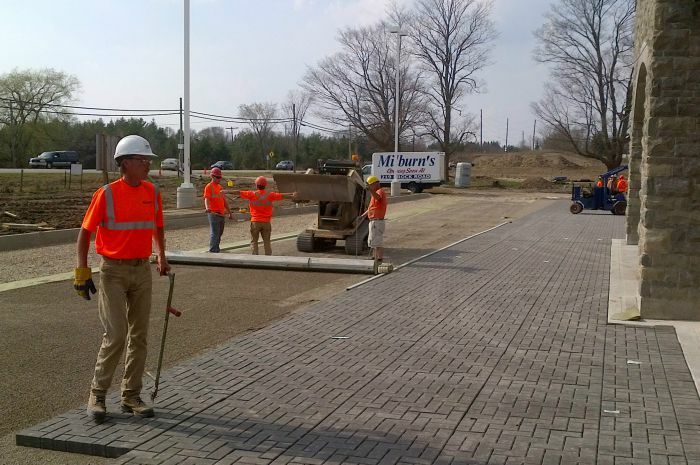 Abcott Construction hired us to install approximately 30,000 square fee of permeable pavers in the parking lot. 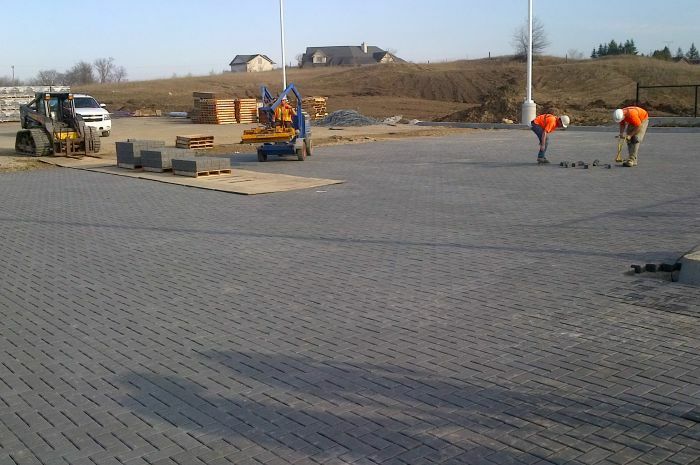 The client selected 80mm Hanson-Aqua Pave. 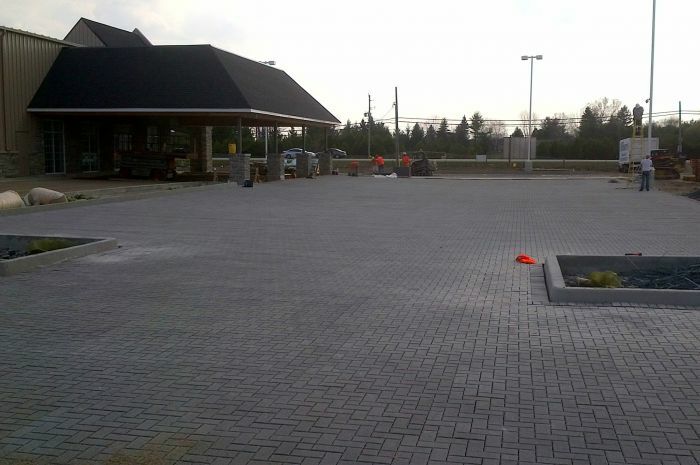 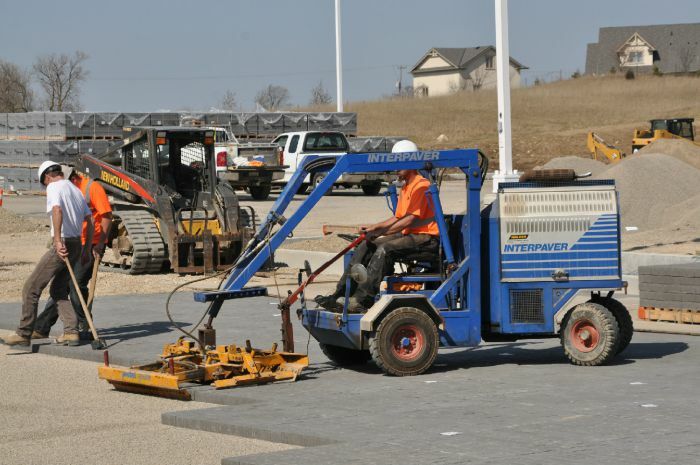 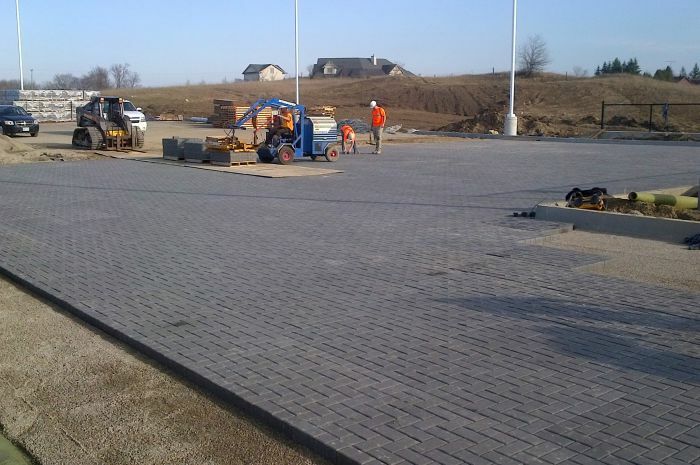 This project was completed in eight days during the March 2012 heat wave, using our Interpaver mechanical installer.